Protect your camera from sharp objects with reinforced padding. 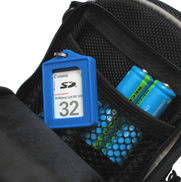 Store vital accessories, such as spare batteries and memory cards, in the two pockets or the netted section. 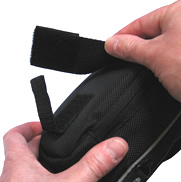 User-friendly quick release belt attachment - there is now no need to remove your belt to remove your case. 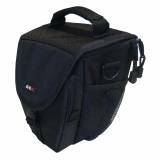 Fully adjustable shoulder strap allows quick and easy access to your camera. Internal Dimensions - Height 120mm, Depth 40mm, Width 75mm. To offer your camera the ultimate protection from the everyday knocks and bumps, the Turtle boasts padding on all sides, backed with PE board armour. This armour has been specially placed to protect the camera from sharp objects, which may be stored alongside the case in a rucksack or bag. The Turtle also has the GEM Quickdraw top-loading design, allowing you access to your camera in seconds! This means that you will never miss that all important shot. For ease of access, the case can be placed on your belt. 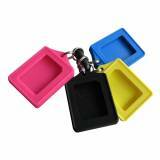 There is a simple, specially designed belt loop to unfasten, which gives you quick access to your camera. 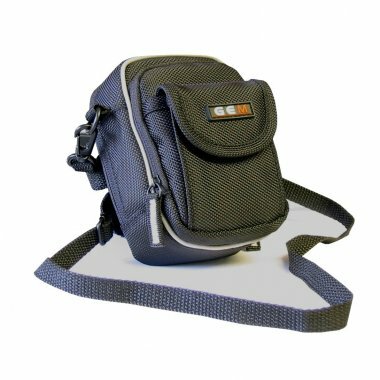 If you are not wearing a belt this is not a problem; the case is supplied with a fully adjustable shoulder strap, which also allows you easy and quick access to your camera. We are aware that without those important accessories, such as spare batteries and memory cards, your camera can become useless. 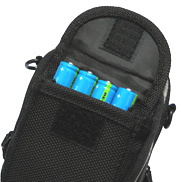 So we have added two neat pockets to the front of the case that can conveniently house these essentials. And not only have we ensured that there is a padded main pocket, it also features a netted section to keep items separated. Graham Hoskins August 12 Excellent little bag - very strong and good storage space for odds and ends. 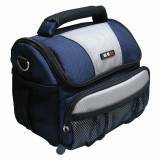 GEM 142 Compact Camera Case with reinforced padding, quick release belt attachment and adjustable shoulder strap.